"DAWN" STARTED HER SHOW CAREER OFF WITH TWO BABY PUPPIES IN SHOW AND TWO 3/6 SWEEP STAKES AT HER FIRST WEEKEND OUT. 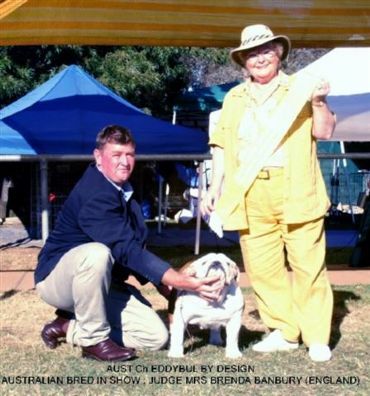 "DAWN" IS A MULTI IN GROUP WINNER & CLASS IN SHOW, AT THE 9TH NATIONAL BRITISH BULLDOG CHAMPIONSHIP SHOW "DAWN" TOOK OUT THE PERPETUAL TROPHIE FOR THE TWO DOGS LEMONADE PUPPY IN SHOW. AT THE 2005 VICTORIAN BRITISH BULLDOG SPECIALITY SHOW SHE WAS RUNNER UP IN SHOW & JUNIOR IN SHOW. 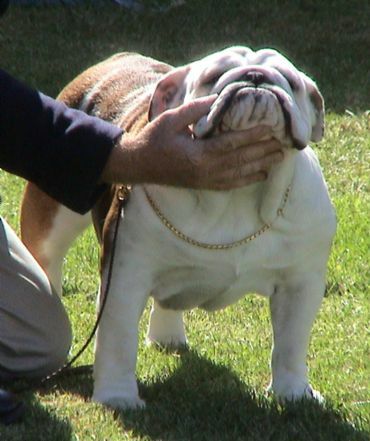 AT THE 2006 VICTORIAN BRITISH BULLDOG SPECIALITY SHOW SHE WAS RUNNER UP IN SHOW & INTERMEDIATE IN SHOW. ""DAWN" GAINED HER "GRAND CHAMPIONSHIP" TITLE WITH VERY GOOD WINS ALONG THE WAY, SHE HAS DONE US VERY PROUD. 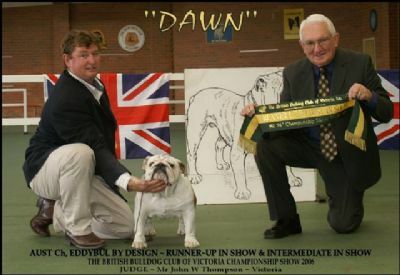 "DAWN" WAS IN THE TOP 10 ACT SHOW DOG OF THE YEAR 2006.